I have spent the last ten days sunning myself in the beautiful resort of Clearwater in Florida. 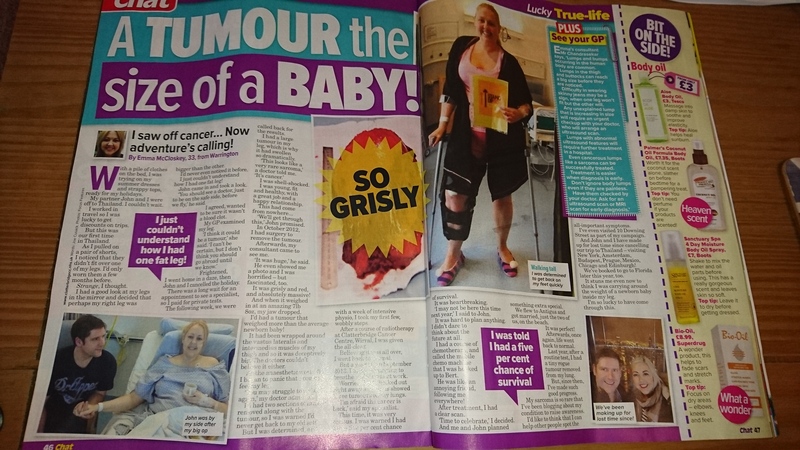 After an amazing holiday, this morning I landed at Heathrow Airport and rushed to buy Chat magazine to see if they had run a story on me. And they had. Page 46 – double page spread and even a message from the wonderful Mr Chandrasekar. It’s a really good story and if it helps to raise awareness then it’s all good. 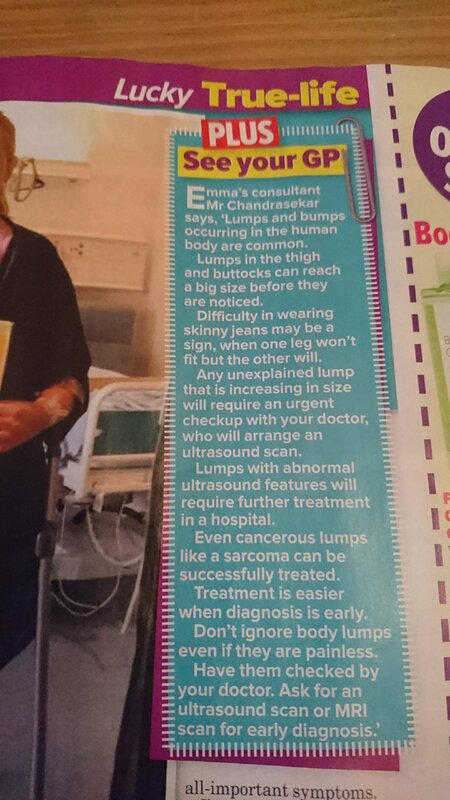 I will receive a fee for this story which I will be donating to Sarcoma UK. I remember that picture of you in the midst of scary things happening with those perky slippers with the puff balls. Then I knew you had the right attitude!